Japan’s Hayabusa 2 spacecraft lands on asteroid! Home Tech Japan’s Hayabusa 2 spacecraft lands on asteroid! Hayabusa 2, the Japanese spacecraft successfully landed on Ryugu Asteroid as part of its multi-year mission to collect samples from the surface of the asteroid. As per the latest technology news, the spacecraft completed the next phase of landing on the asteroid, shooting the specially-crafted bullet into it and returning to space. In the previous mission, which was a seven-year journey, the Hayabusa 2 seen the asteroid, gathered samples and returned to Earth. In its sequel mission, scientists consider that samples collected from Ryugu might give water clues to support an assumption of how water and life formed on the surface of the Earth. 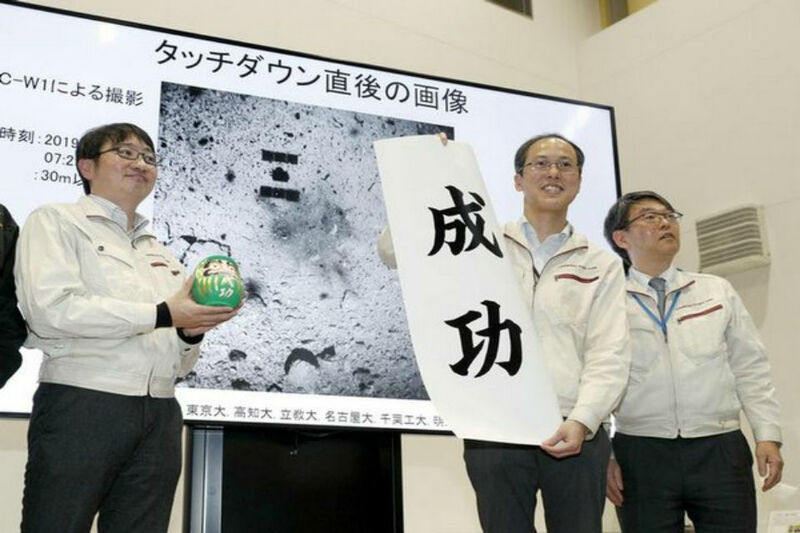 The Ryugu asteroid has been recognized as carbon-rich (a C-type), which clearly shows the presence of water in its rocks. Hayabusa 2 is expected to return to Earth in 2020.